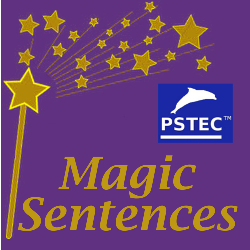 PSTEC Magic Sentences can open the door to the subconscious in a brand new way and that’s why you might want to find out more about it. In early 2012 I revealed the secrets of “PSTEC Magic Sentences”. Did you see it advertised? Until I released the instructions for this, no other therapist anywhere in the World had access to this. And nobody apart from a few clients of mine knew that one of my long kept secrets is the power of subconscious programming by reversing certain sentences. In fact, it turns out there are certain particular reversed sentences which can be used to very quickly program the subconscious, BUT ONLY if you know how, and which ones to reverse. This fantastic tool is based on my most recent understanding of exactly how the human mind follows language. You’ll find that when used correctly, it’s fun to do and can very quickly program your subconscious. Once again it comes to you with all ease and convenience of MP3 audio. Listen in to Jeff Harding, Sally Baker and the Mystery Guest talk about Magic Sentences and then take advantage of the option that is best for you. Free Magic Sentences for Anger package (by Tim Phizackerley) with the purchase of any other Magic Sentences package. The Magic Sentances packages alone are regularly $72, so you are getting ALL the tutorials and Sally’s scripts for only an additional $8! I created the process, but it was only on my “super power hypnosis” tutorial I gave other therapists full details, scripts and access to this. Following my teaching, experienced therapist and great speaker, Sally Baker has lovingly created a few specific Magic Sentence packages. She’s done a wonderful job here for you and I think you’re going to have fun with this. Remember, with this one, the harder you listen, the better this works. of any other Magic Sentences package.